Amritakripa has been chanting for twelve years under the guidance and inspiration of Holy Mother, Mata Amritanandamayi. She is enormously grateful to and has enjoyed chanting with such pioneer artists as Bhagavandas, Krishna Das, Wah and David Stringer. ‘Moving prayer’ in the form of sacred dance has been Amrita’s love and practice since 1994. 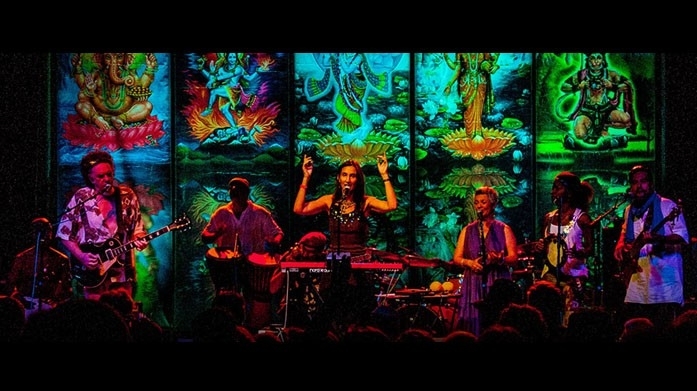 Her desire to combine sacred dance and bhajan opened the door for a wonderful collaboration with Robbi Robb, founder of Tribe After Tribe and lead singer of Three Fish.